Christian communities both large and small celebrate Christmas throughout the African continent. In some communities even non-Christians join in on holiday festivities. There are 1 billion people living on the continent of Africa in 54 countries and approximately 350 million are Christians. This makes Christmas a largely celebrated holiday and festive time in countries throughout the continent. Whether it’s Egypt in the North, Senegal in the West, The Democratic Republic of the Congo in the South or Kenya in the East, the Christmas holiday does not go unnoticed in this historic land. The holiday season generally starts about two weeks before Christmas and continues until the New Year. It is a public holiday in most countries with colleges, schools, public and private institutions closing during this time. Like in other countries, prior to schools closing for the holiday, Christmas carol programs and events are popular and taken very seriously by students. In Africa, many people travel long distances to their home villages to be with family, friends and extended family. Christmas trees are mostly common in cities and will be found decked out with lights, bells, stars, snow scenes, tinsel and other ornaments. Santa and his reindeer are popular in some places and growing in popularity in others. Parents buy new clothing for children, who wear and show them off on Christmas day, and gifts and cards are exchanged among family and friends. After a traditional Christmas Eve church service or Midnight Mass and carolling, Africans feast heartily on a variety dishes as diverse as the country’s population. After spending Christmas day with family and friends some head off to a party or to see the latest holiday blockbuster movie. In some African cultures, mixing modern Christmas traditions with deep rooted local cultural traditions can make for a very unique holiday celebration. West Africans feel nothing is like their Christmas traditions. Africans long to be close to home during Christmas and if away will make the long journey home to be with family. West Africa is fairly new to Christianity but is rich in local Christmas traditions. 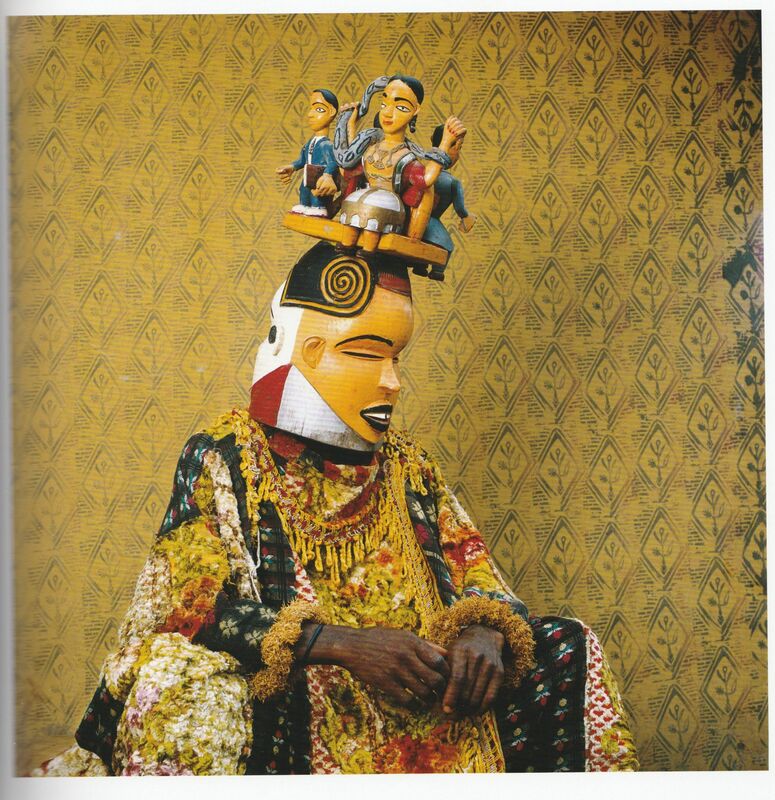 Many have their roots in pre-Christian cultures, like the masquerades in Sierra Leone and Nigeria, while others are Africanized traditions practiced around the world. Christmas in Ghana coincides with the end of the cocoa harvest and begins on December 1st , four weeks before Christmas. Due to the cocoa harvest it is a time of wealth. Everyone returns home from wherever they might be such as farms or mines. Families decorate their homes and neighbourhoods just like in the US, using lights, candles and ornaments. On Christmas day, things really kick into full swing, starting with a family meal, usually consisting of goat, vegetables and soup or stew with fufu, followed by a church service which includes lots of dancing and a nativity play for the whole community and a colourful holiday parade. A special and unique Christmas tradition in Ghana is the honouring of midwives, based on a local legend about Anna, who is said to have assisted in the birth of Jesus Christ in Bethlehem and saved his life from a jealous Judean king. Anna’s story is told every Christmas in Ghana. Christmas in South Africa is a time in summer to revel in sunshine and the spirit of the season. Christmas trees, both real and not, are decorated with bells and stars with gifts underneath for children, family and friends. In South Africa the main event of the Christmas season is attending Christmas church services. For some these are midnight services or Mass on Christmas Eve where carols are sung and gifts are offered in honour of Christ. This love offering is an integral part of the service. Christmas Eve celebrations are grand in urban areas when carols are sung and special services are held. Christmas is an exciting time when diverse populations give in to the spirit of the season. Instead of Santa, in Liberia you’re more likely to see Old Man Bayka, the county “devil” who – instead of giving presents, walks up and down the street begging for them on Christmas Day! And instead of hearing the usual “Merry Christmas” greeting, expect to hear Liberians say “My Christmas on you.” It’s basically a saying that means “please give me something nice for Christmas.”A church service is held in the morning . The festive dinner, consisting of a meal of rice, beef and biscuits, is eaten in the outdoors. Games are played in the afternoon and at night fireworks light up the sky. If you’re spending Christmas in Ethiopia this year, you’ll have to wait a little longer than December 25, as most people follow the ancient Julian calendar and celebrate the holiday on January 7. Traditionally referred to as Ganna, an Ethiopian Christmas typically begins with a day of fasting, followed by church services and a feast that includes stew, vegetables and sourdough bread. Though most friends and families do not exchange gifts, communities gather to play games and sports, and enjoy the festivities together before returning to work. Here Christmas Eve is very important. Churches host big musical evenings (many churches have at least five or six choirs) and a nativity play. These plays last a very long time, starting at the beginning of the evening with the creation and the Garden of Eden and ending with the story of King Herod killing the baby boys. On Christmas day, most families try to have a better meal than usual. If they can afford it, they will have some meat (normally chicken or pork). The rest of the day is spent quietly, maybe sleeping after a busy and late night on Christmas Eve. Nigeria has more Christians than any other West African country. Old rooted masquerade parties are part of the Christmas celebrations. Nigeria is culturally diverse with varying Christmas traditions. Most have masquerades, often performed by children, while others have integrated old dances into the celebrations. For most Nigerians, Christmas is about family and meeting up with old friends and extended family. Families also attend Midnight Mass and watch the Ekon Play, where a drama group dances with a doll symbolising the Christ Child that spectators may hold for a small donation. After exchanging gifts, old and young participate in street life with rousing parties for the next two days. In southern Mali where Islam, Christianity and African religions coexist in most villages, the Dogon people are blending masquerades from an ancient death cult and traditional songs and dances with Midnight Masses and a local lamb dish inspired from biblical tales into the Christmas celebration. In many Burkina Faso villages, children mix clay, straw and water to build masterpieces outside their compounds, illustrating the biblical theme of the crib. The nativity scenes are highlights in the village Christmas decoration and stand until the rain washes them away, often close to Easter. Church Services and Carols: Going to church is generally the main focus of Christmas celebrations in Africa. Nativity scenes are played out, carols are sung and in some cases dances are performed. Christmas Decorations: Decorating shop fronts, mango trees, churches and homes is common throughout African Christian communities. You may see fake snow decorating store fronts in Nairobi, palm trees laden with candles in Ghana, thorn trees in Kenya and Tanzania or oil palms loaded with bells in Liberia. Christmas Dinner: Goat, chicken, turkey, beef and fish are some of the traditional staples of the holiday celebration meal in Africa. Side dishes include a variety of vegetable dishes, rice, fruits, soups and desserts. Specialities vary by country. Christmas Presents: Those who can afford it will generally give gifts at Christmas but the holiday is not nearly as commercial as it is in Europe or the Americas. The emphasis is more on the religious aspect of celebrating the birth of Jesus and singing in church, than it is on gift giving. The most common thing bought at Christmas is a new set of clothes to be worn to the church service.